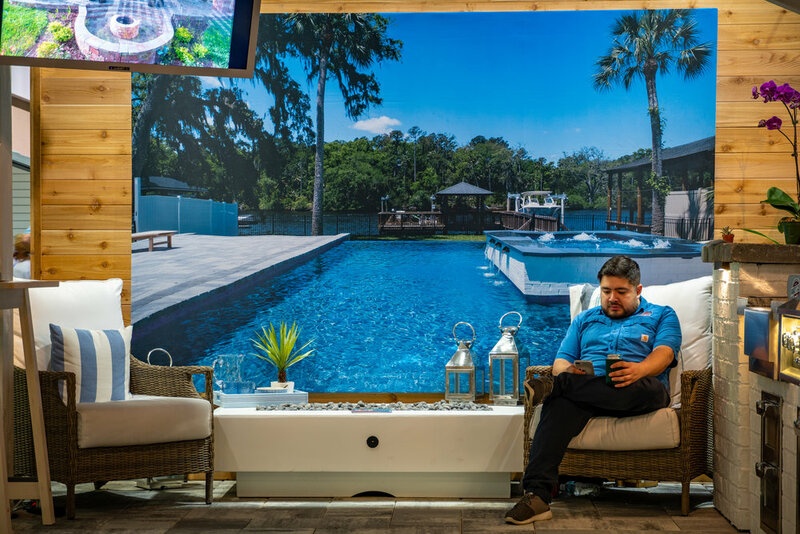 We had such a great time getting to talk to the event attendees about the work that we do and would like to say thank you to everyone in the Pratt Guys client family who stopped by, along with all the new people we were fortunate to meet and interact with. 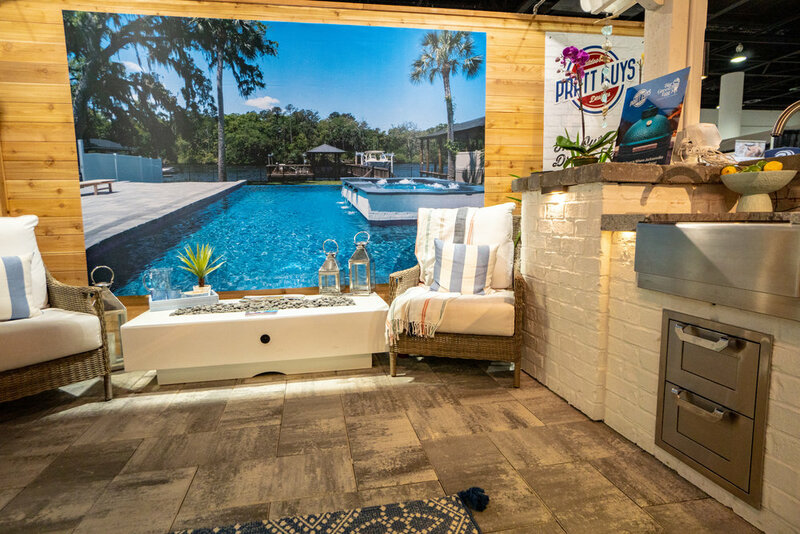 The 2019 Jacksonville Home + Patio Show marked the 9th year in a row that Pratt Guys has participated in this event, which happens every Spring in Downtown Jacksonville, FL at the Prime Osborn Convention Center. 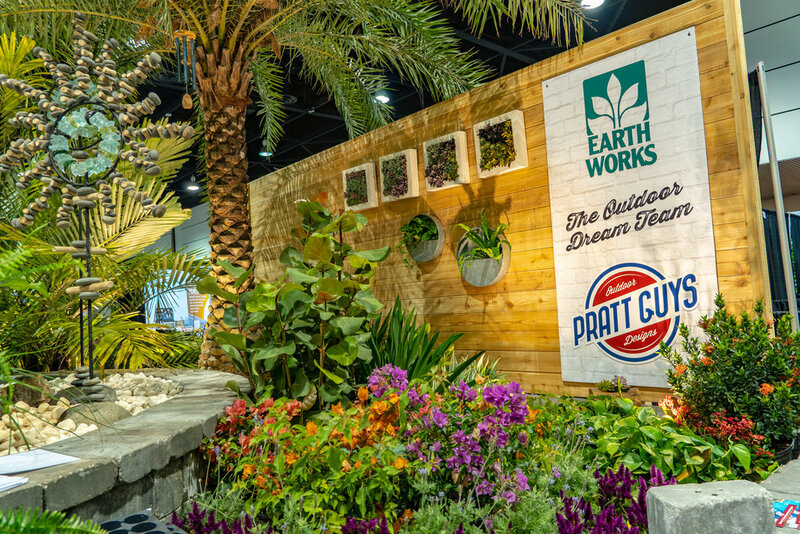 It was our 7th year in a row collaborating with our friends Earth Works, who specialize in landscaping, water features and has the most incredible garden center. 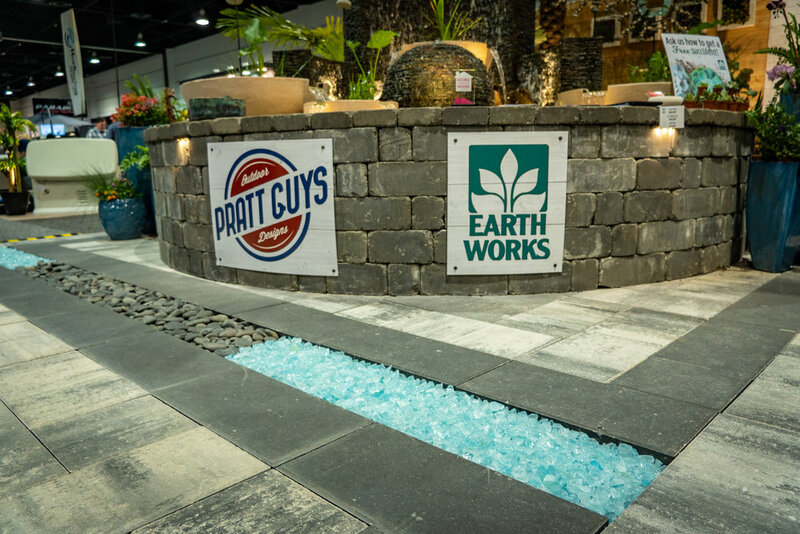 The combination of products and services we offer, such as pergolas, cabanas, outdoor kitchens and pools with those from the Earth Works team allows for a better product + experience to our homeowners who are looking to compliment their Pratt Guys structures with Earth Works water features, which is why we refer this collaboration as the Outdoor Dream Team. 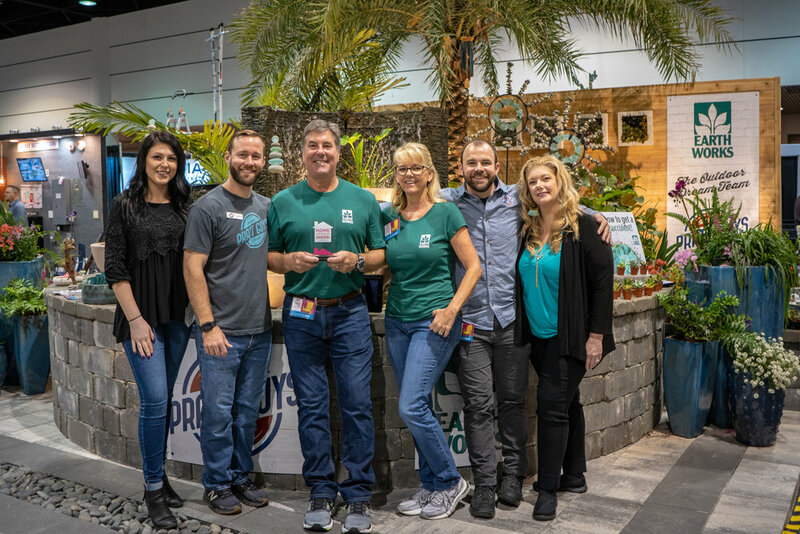 We are delighted to share with you that 2019 marks the 7th year straight this Dream Team has won “Best Overall Display” at the Jacksonville Home + Patio Show. 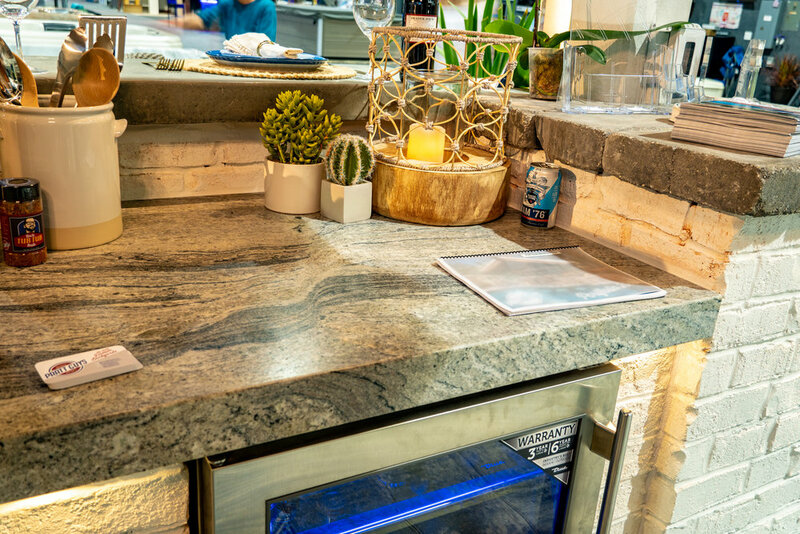 We like to use the Home Show as a platform for launching new trends, products and ideas into market. 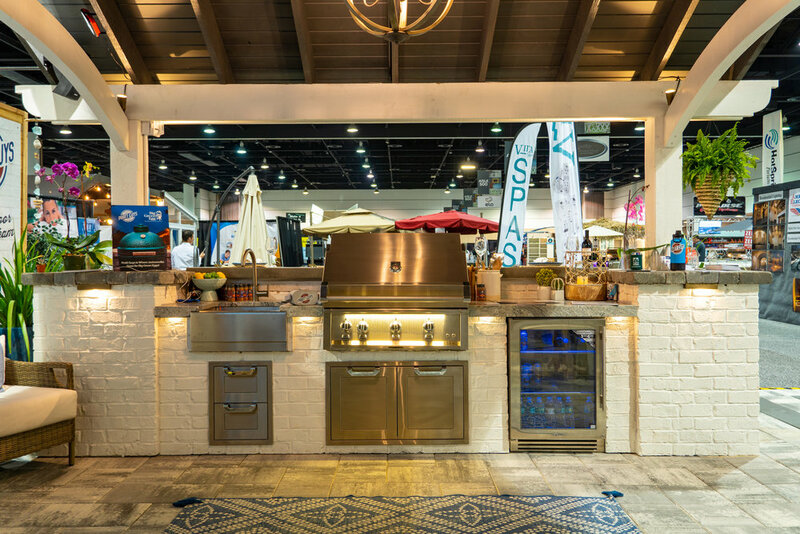 This year we displayed a coastal contemporary themed outdoor kitchen + cabana, featuring details like white wood and brick, curved beams and metal roof, which balances perfectly with homes near the ocean and other waterways throughout Jacksonville, FL. 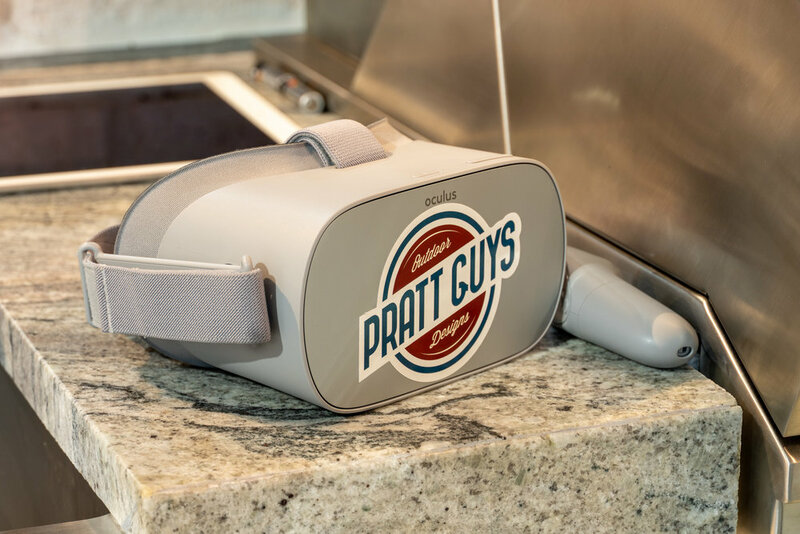 One of the most exciting things we debuted this year was Pratt Eyes, a virtual reality headset (Oculus Go) for seeing our backyard designs in a 360 degree virtual world.. With Pratt Eyes, we are now able to transport our client into their backyard, where they are able to perfectly visualize what their new Pratt Guys backyard will look like before we actually build it. 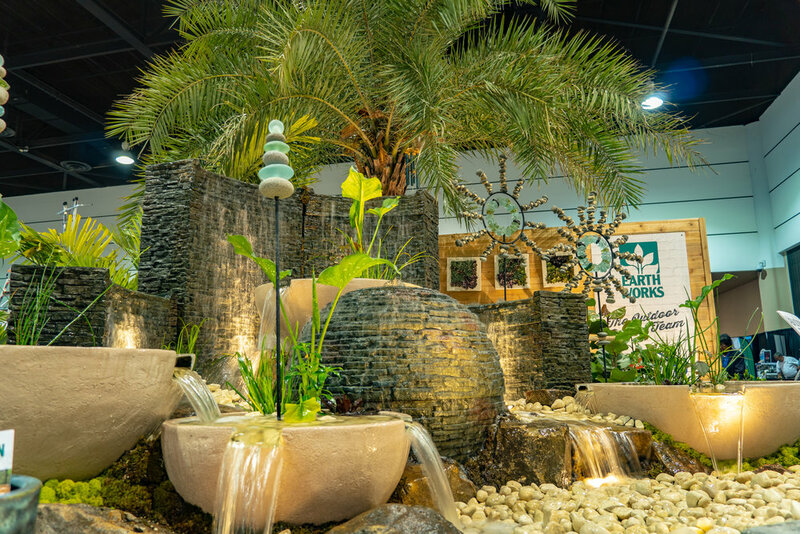 This allows both Pratt Guys to get a precise idea of the best backyard solution for the homeowner. 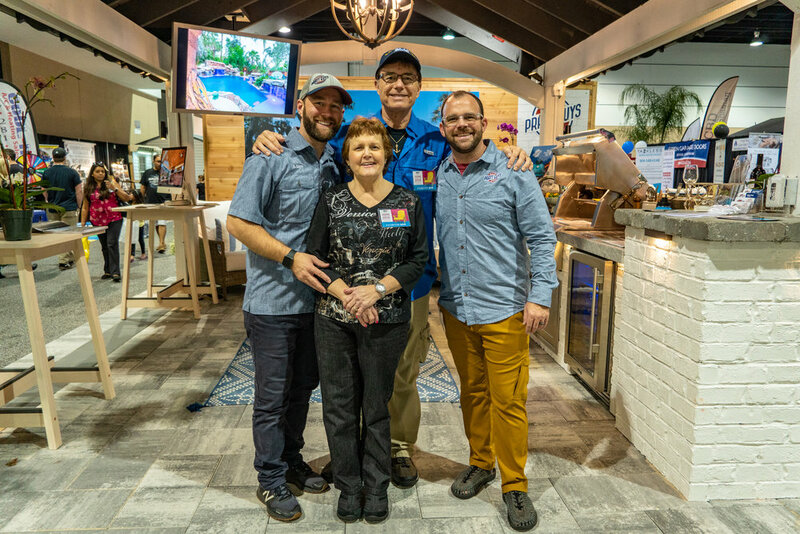 We had a lot of fun with it and so did all the folks who dropped by our booth, including our friends Curtis Dvorak of WTLV’s First Coast Living and Mark Payton of WJXT’s River City Live. 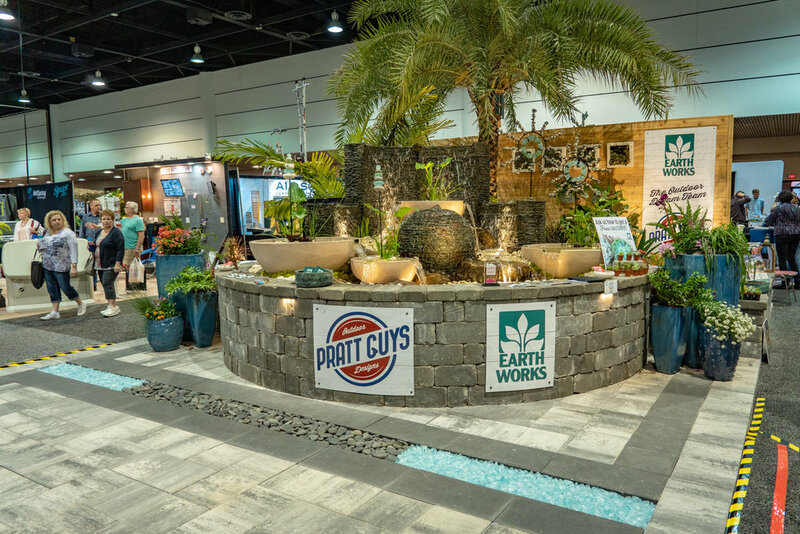 Below you’ll find Pratt Guys in a couple TV news segments discussing our buildout at the Home and Patio Show, along with our new Pratt Eyes! 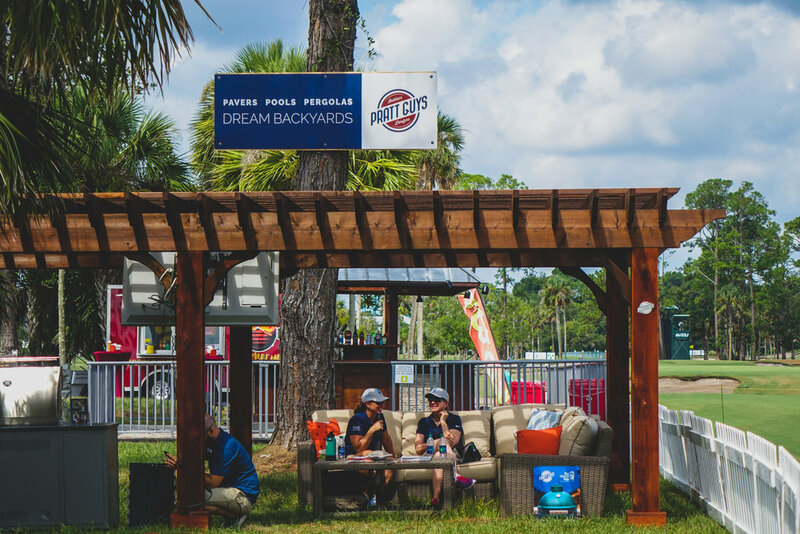 Oh… and THANKS to our friend Bonnie Upright for coming up with this fun term. 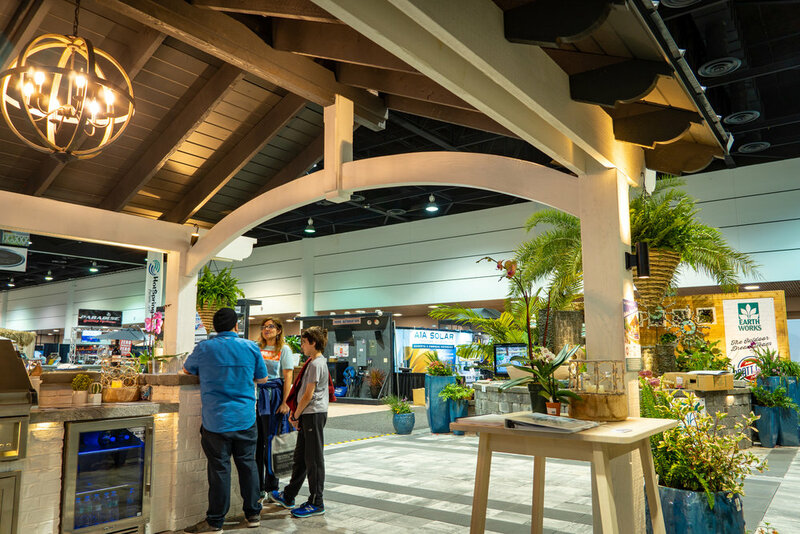 The #1 question we get asked during the Jacksonville Home + Patio Show is "How long did this take to build and when did you start?" 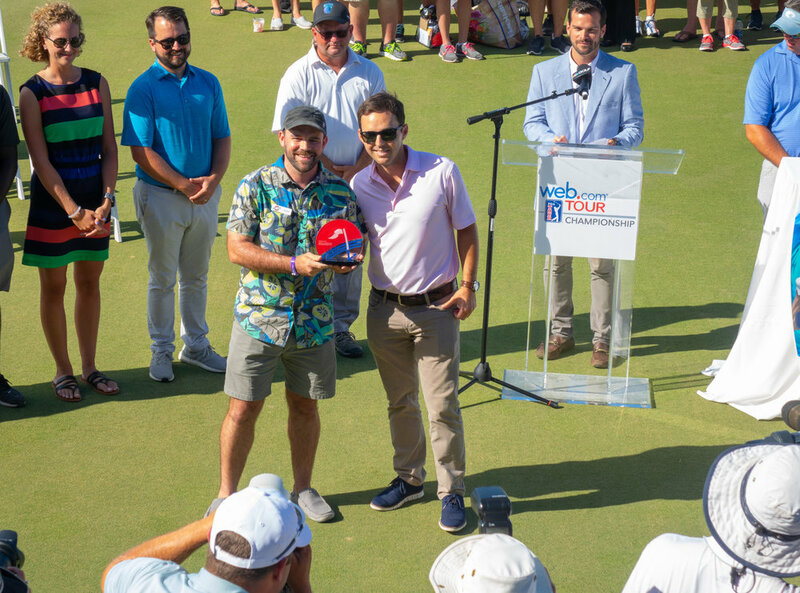 - WELL, we will answer that question with this incredible, fun, behind-the scenes video! At Pratt Guys, we ask our employees to “Be a KID” at all times. This is an acronym that I came up with to quickly explain our culture of building a team of people with strong character. 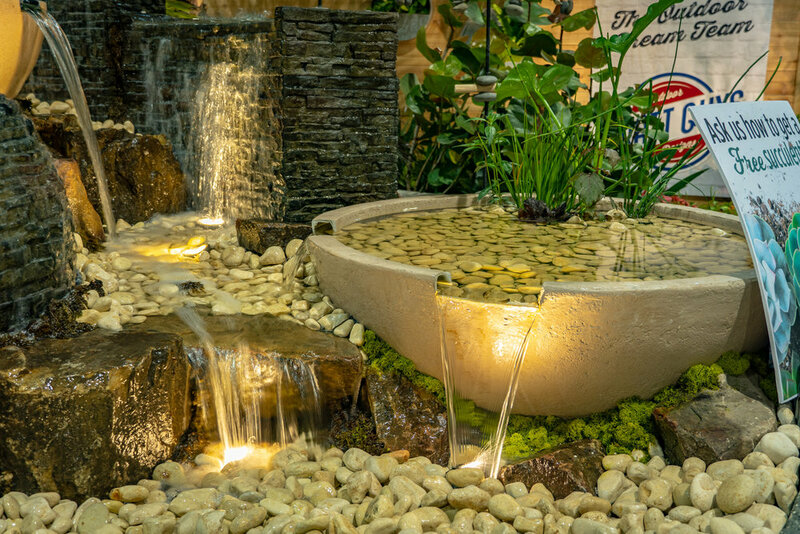 It stands for: Kind, Involved and Dependable and we Pratt Guys want to Be a KID at work, at home and in life. 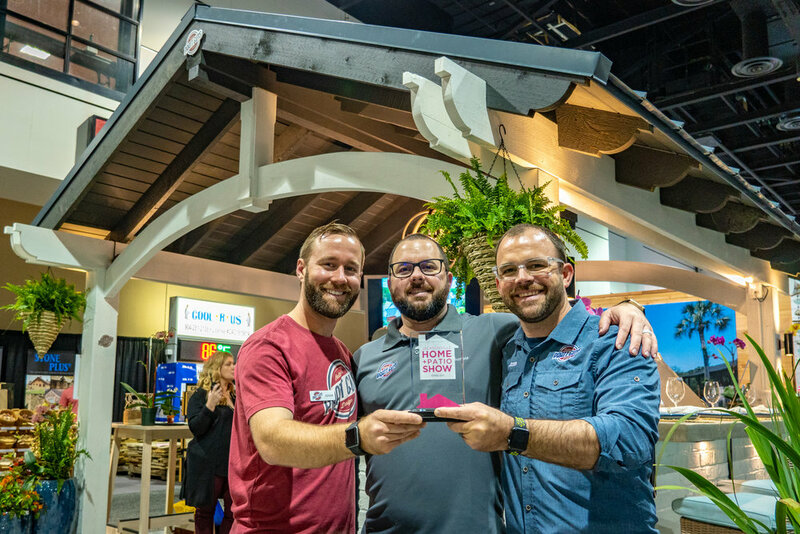 On Saturday, November 10, 2018, 6 Pratt Guys, a spouse and child came together to prepare 588 bags of brown sugar oatmeal and it felt amazing to help make this happen! 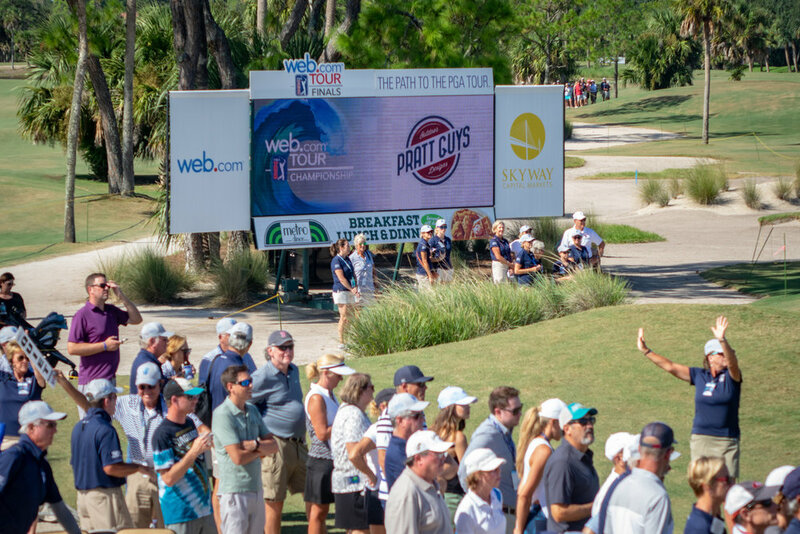 Pratt Guys was honored to be invited to the 2018 Web.com Tour Championship as an event sponsor for this year's golf tournament held at the Atlantic Beach Country Club. 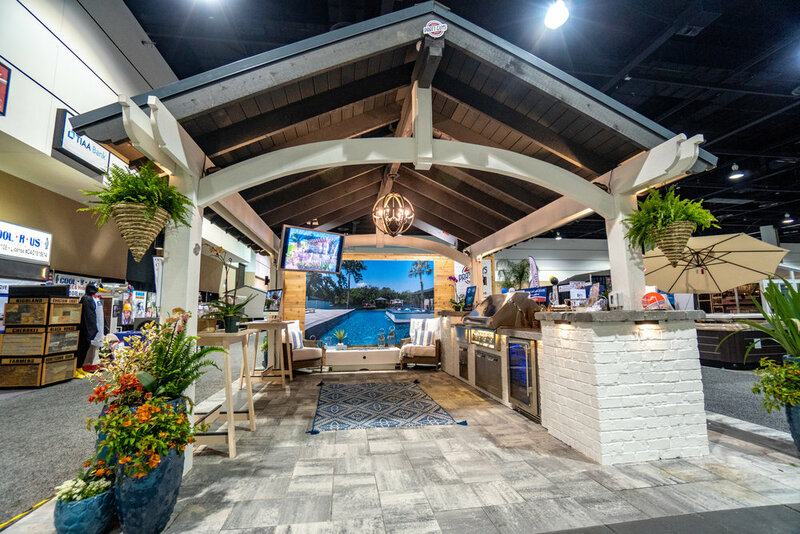 At the event, we set up our a 6-post, beefed-up version of our Pratt Guys pergola, providing passersby with shade, comfortable seating from our Sunset West furniture line and a super bright, weatherproof SunBriteTV. 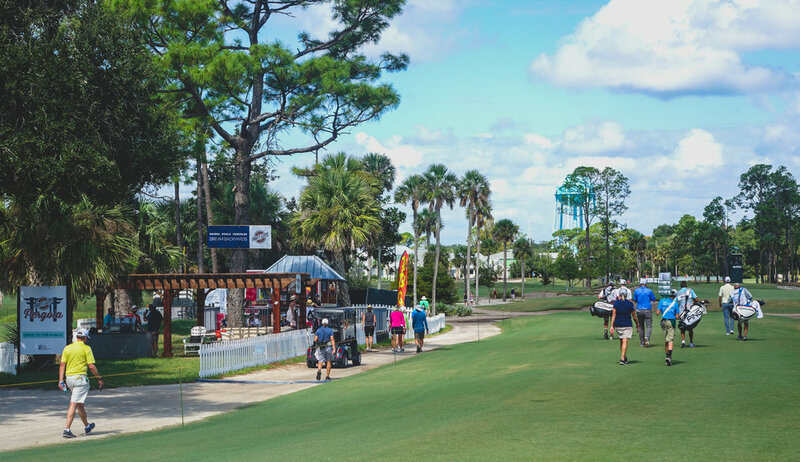 We also had a fun time being the place on the course for the weekend’s football games! 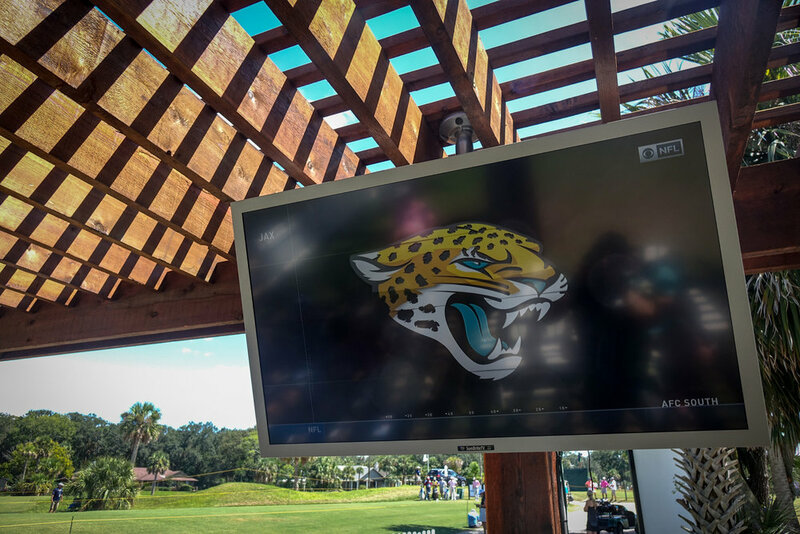 On Saturday we had the Georgia Bulldogs vs. Missouri Tigers NCAA game and on Sunday the Jacksonville Jaguars vs. Tennessee Titans game. 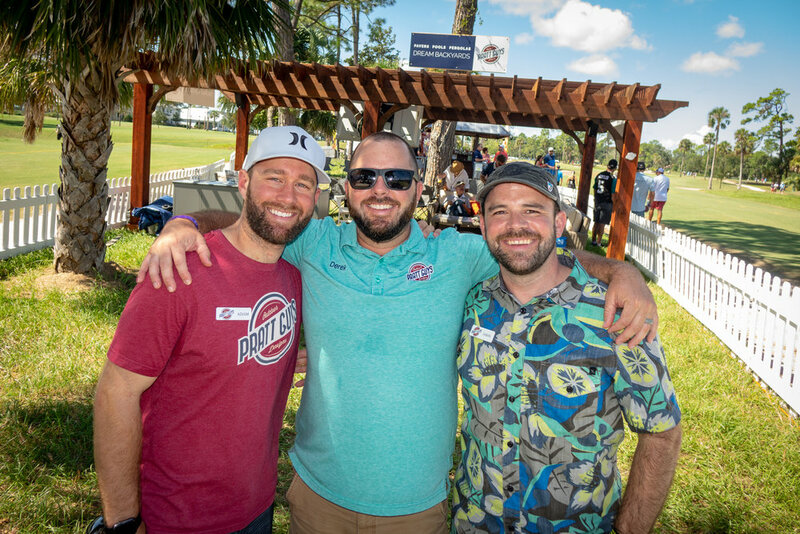 In addition to having a relaxing weekend outdoors, getting to hang out with the attendees, volunteers and staff at the Pratt Guys Pergola, we were fortunate to have received the most amount of online votes in the the Web.com Small Business Championship in Jacksonville, FL, which resulted in Pratt Guys being presented with the award, just after kicking off the Web.com Tour Championship awards ceremony, on the green of Hole 18.